Japanese automakers Toyota and Honda are renowned for their relentless focus on cost reduction through first class optimization of their supply chains. In August 2018, they are reporting improving profits while US automakers are issuing profit warnings. Toyota and Honda have successfully connected operational databases from the supporting business eco-systems in such a way that databases can be analysed intensively (AI, Business Analytics, etc.) to identify cost saving opportunities utilizing the Japanese kaizen philosophy for continuous improvement. They have learned that data-driven enterprises are more successful. In contrast, the self-organizing and fragmented nature of the maritime industry has traditionally deprived all actors of the data needed to achieve high levels of efficiency. Fragmentation is toxic to efficiency, but now we have an antidote – digital data sharing. The maritime segment of the container industry is very mature, but it is low-profit, fragmented and too many operations are not optimally synchronized. However, the adoption of the principles of Port Collaborative Decision Making (PortCDM) as an enabler of the Sea Traffic Management (STM) concept for shipping companies (within or outside alliances), ports, and terminals could substantially reduce the overall costs. Adopting PortCDM could decrease ships’ idle-time and unnecessary bunker consumption, by maximising vessel and terminal utilisation, as well as by making port and land-side operations significantly more efficient. PortCDM is a gateway to digital data sharing and improved efficiency for all. This concept note will start with a discussion of key actors (shipping lines, ports, terminals). Following this, the importance of alliances and the network effect of those alliances on efficiency in general will be discussed, and the concept note will end with a short description of how the PortCDM concept will substantially contribute to overall improvements in efficiency. The key stakeholders within the Maritime eco-system are the shipping companies, the ports and the different types of terminals. Terminals are part of a port, and the division of roles between the port and its terminals varies widely. We shall discuss the role of these three below to identify the lack of optimal communication due to a lack of (standardized) information. Shipping companies operating box vessels (containers) can be divided into three macro-categories: global operators (such as Maersk, MSC, CMA-CGM); medium size operators with a focus on specific trades (such as intra-regional operators); and niche carriers focusing on small volumes and high- revenue, protected trades (such as Matson & Zim). Liners, as container shipping companies are referred to, operate in an asset-intensive, fragmented industry that grew extremely rapidly between the 60s and 80s, resulting in a scenario where, for decades, companies focused more on fast expansion and volume business than on efficiency, diversification, technologies, and operational excellence. Therefore, the industry intrinsically has very low profit margins and is particularly exposed to profit swings caused by price fluctuations for oil and steel (respectively influencing the cost of running and buying vessels), as well as global demand for containerised transportation. Above all, the imbalance between the global demand and the supply of vessels for years caused an oversupply of capacity. 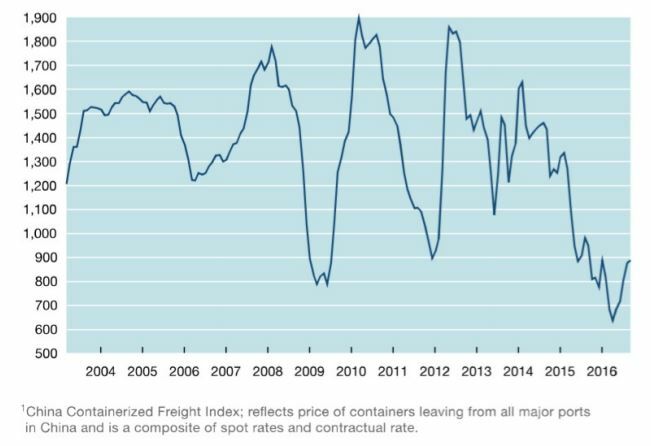 As a consequence, freight rates have been on the decline during the last decade causing liner revenue streams to shrink. Many trade-lanes are imbalanced, resulting in high costs and no revenue associated with the re-positioning of empty containers. This is prevalent on the Asia-Europe and Asia-North America trades where often 50% of the containers in the “backhaul” to Asia are transported empty. 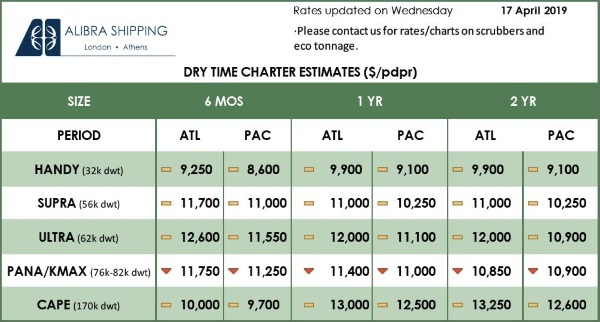 Figure 1: The Composite Freight Rate Index. In order to survive, shipping companies have been forced to reduce costs (such as by slow steaming), increase efficiencies (such as by attempting to maximise vessel utilisation, reducing SG&A (Selling, General and Administrative Expenses), and above all, leveraging economies of scale. In particular, the latter strategy has been aimed at increasing the volume of TEUs transported and consequently reducing the average Operating Expense (OPEX) per TEU, which also helps boost the contractual power of the shipping line with banks, shipyards, ports and vendors in general. Economies of scale have been pursued very boldly by almost all the major players, resulting in three possible approaches: organic growth, mergers and acquisitions, and alliances. MSC expanded its fleet to five hundred vessels by growing organically, while companies like CMA-CGM, COSCO, and Maersk followed a completely different approach by very aggressively acquiring smaller competitors. Both strategies very effectively supported the growth of these players. 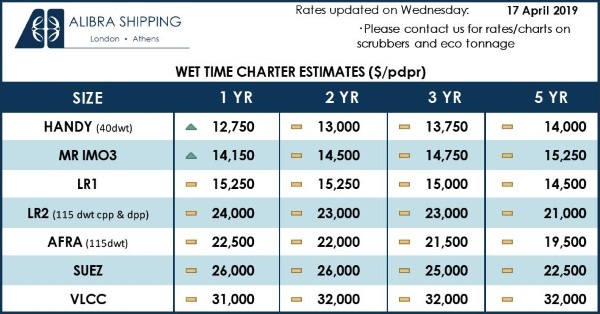 Despite the huge efforts already employed to cut costs and increase efficiencies, the constantly deteriorating market conditions have further pushed the liners to consolidate their operations through engaging in alliances to increase Economy of Scale. Alliances are not a new trend in the shipping business. During the 1990s, the first alliances were already operating: Grand Alliance, Global Alliance and Tricon-Hanjin consortiums were established aimed at reducing operating costs and maximising vessel utilisation among small and mid-size players. However, within the last thirty years, the tendency to form alliances has become the rule, given a scenario of reduced industry profitability, increased rate volatility and basically a fight for survival among shipping lines. As of today, all the global shipping lines (thus excluding niche carriers) are regrouped into the three main alliances, namely 2M (Maersk, MSC, HMM, ZIM), The Alliance (Hapag-Lloyd, ONE, Yang Ming), and Ocean Alliance (CMA-CGM, COSCO, Evergreen, OOCL). From the liners’ point of view, the main benefits of alliances are maximisation of vessel utilisation, more flexible and efficient deployment of the fleet among different services, an overall increase of service reliability, increased port-pair coverage and frequency, and an overall reduction in costs per TEU transported. Overall, the main trend in the shipping industry has been a centralization and consolidation similar to that of many other industries. Especially over the last twenty years, we have witnessed a reduction in the industry’s fragmentation and the disappearance of mid-size carriers due to mergers and acquisitions or even bankruptcy. A recent case was the bankruptcy of Hanjin, the seventh largest shipping line in the world that went out of business literally overnight during August 2016. Overall, the number of global shipping companies has plummeted from 27 in early 1990’s to only 14 in 2018. The future scenario, given the low return on invested capital and the decreasing profits (or even losses) posted by major shipping companies, as well as the lack of recovery of freight rates in the near future, could push for further industry consolidation. Recent rumours regarding CMA-CGM interest in acquiring Hapag-Lloyd could signal a further wave of mergers and acquisitions between major and mid-size players. While it is possible that niche-carriers will still remain in business given their overall better profitability, mid-size global shipping companies may be forced either to accept a merger or acquisition or go out of business. Finally, the more specific case of government-backed companies should be mentioned. In particular HMM, COSCO, and ZIM have largely benefitted from governmental support, in some cases through eased financing and even bailing out. Given their strategic relevance to national interest, these State-backed shipping companies have been protected so far, raising the concern of regulating bodies and above all of concerns from their (more efficient) competitors. While the importance of COSCO to China’s national maritime strategy might continue to bring certain financial advantages to the Chinese carrier (such as eased financing and procurement), most observers believe that HMM and ZIM will be gradually forced to fully embrace free-market logics. Sea ports are an interface between maritime and land logistic operations. However, within ports, operations are typically mostly handled within specialized terminals. These are sections of a port specialising in specific commodities or modes of transportation (passenger, general cargo, containers, dry bulk, liquid cargo, gas, break bulk and oversized, vehicles, chemicals, grain, cement, coal, etc). Almost all ports exist for historic reasons where the land-based market place meets the ocean (such as Antwerp, Genova, Venice and Rotterdam), to further national interests (such as Singapore, Shanghai, Shenzhen, Gioia Tauro) or to support financial investments and commercial purposes (such as Dubai, Salalah, Long Beach/Los Angeles). During the last fifty years, the functioning of ports has evolved from intermodal interfaces into a much more advanced concept, namely, an integrated platform of basic and advanced logistic services provided by a set of entities, which can be government or privately owned. This port-centric logistic approach sees ports at the centre of several industries’ supply chains: ports are increasingly upgraded to perform a broad portfolio of maritime, rail, and trucking activities, as well as freight forwarding, customs-related events, cold chain management, stevedoring, warehousing, and distribution services. Appendix A provides a categorisation of the 30 largest container ports, labelled according to their scope. A single container port can even host several container terminals, as is the case of the Port of Long Beach (see Appendix B for further details), which counts six different terminals managed by different stakeholder and provides a perfect example of a modern port’s complexity in terms of different alliances, shipping companies and services co-existing and overlapping on the same logistic site. Other ports follow a different approach where all the terminal berths are managed by the same entity, in essence the port administration. This is the case for Singapore, HQ and home port of PSA International, which operates all the nine container terminals in the port as an integrated facility. Such a concentration of control is the result of the background of PSA International, originally a governmental authority with the mission of managing and expanding the business of Singapore’s port. This unique vision for the coordinated development of nine terminals has substantially influenced the efficiency and growth of the port of Singapore, which today is a global hub connecting more than six hundred ports across the planet. The terminals within a port have not escaped the trend, and they are incrementally integrating logistic services with the more traditional lifting, storing and in/out gating of boxes. The level of integration reached by a specific container terminal can be a good indication of the character or nature of its current business. Fully integrated container terminals, performing the full spectrum of logistic services and being integrated with different transportation modes (on dock rail, barge services and trucks), can be defined as regional gateways, serving the importing and exporting activities of the surrounding region. The American ports of Long Beach, L.A. and New Jersey / New York are a perfect example of this category. At the other end of the spectrum, we find terminals predominantly focused on transhipment activities, therefore being built not to service a geographical area, but rather positioned along the main East-West sea lines of communication (linking Far East, Europe and the US such as Tanjung- Pelepas or Colombo). These ports generally do not focus on advanced logistic services and lack an extensive land-side connectivity with rail and road infrastructures. Hybrid terminals like Antwerp or Shanghai lie in between the two categories and they provide both transhipment services (usually as a part of a local hub-and-spoke system) as well as advanced logistic services to the surrounding inland and coastal region. Another way to categorize the terminal is on the basis of their strategic scope, which can be motivated by business diversification of existing operations, or financial investment, or creation of a network effect. By network effect, we mean the phenomenon whereby a product or service gains additional value as more people use it. Appendix C provides an overview of the main terminal operators and their respective strategic scope. A terminal operator like PSA International belongs to the first category. It diversified the original scope of its multipurpose terminal and stevedoring activities by expanding across the full cycle of container terminal operations. The scope of its business covers the entire span of logistic activities that gravitates around their terminals (cold chain, intermodal ramps, tugboats, etc.). Terminal operations are the main component of its activities and are complementary to the other logistic services provided. The second case is the one of operators such as DP World or Ports of America, which are controlled by sovereign and infrastructure investment funds. The focus of these operators is on the management of financial assets – terminal activities are seen just as a revenue and value generator. Merger and acquisition followed by an asset re-organization is what leads their expansion and growth, which is based more on financial considerations than on the integration of logistic services or the creation of a network effect. Finally, the third group includes operators owned by or associated with shipping lines. There are both financial and operational advantages deriving from diversifying from pure shipping into terminal activities. First and foremost, a shipping company calling at its own terminals enjoys total control of berth and land side operations. Priority berthing, augmented schedule flexibility, prioritisation of manpower, and equipment utilisation are among the operational advantages, which in turn enable improved customer service and more efficient inland and intermodal operations. 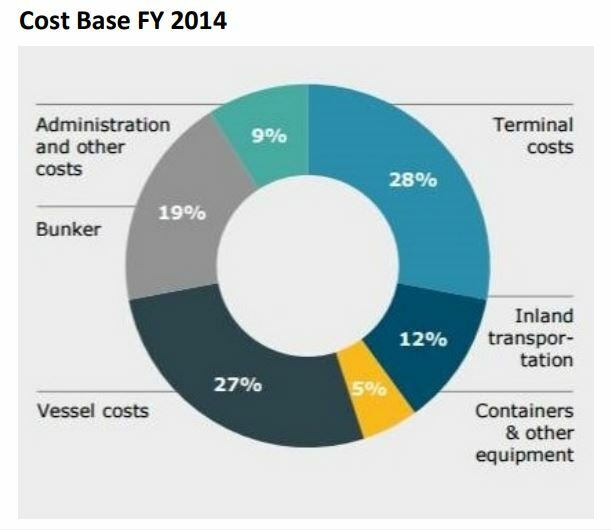 From the financial standpoint, terminal fees and dues are among the major voyage costs for a vessel. Hence, from a group perspective, having this major negative cash flow turning into a positive one by paying a sister company, instead of a third-party vendor, can make a real difference, especially in a business where, nowadays, profit margins can be non-existent. Furthermore, from a strategic perspective, owned terminals are the key enabler for a shipping company to create a global grid of hub-and-spoke facilities, integrated with its fleet so as to generate a network effect. Creation of a network effect is the ultimate goal of shipping companies when investing in terminal activities. Currently, in spite of the substantial horizontal integration of several shipping lines, most shipping lines operate significantly below the Weighted Average Cost of Capital (WACC) threshold and historically their overall Return on Invested Capital (ROIC) has been disappointing, as shown in Appendix D. Meanwhile, terminals and freight forwarders generate a steadier and healthier ROIC – on average the best among all the different sectors of the freight industry, excluding air cargo. This explains why, aside from the operational and financial advantages described previously, the most successful shipping companies want to diversify and operate terminal networks. Owning and operating a fleet of container vessels generates profits only during the short-lived upturns of market cycles, yet, controlling a fleet is essential to feed the cargo terminals, where profits are made in a steadier fashion. 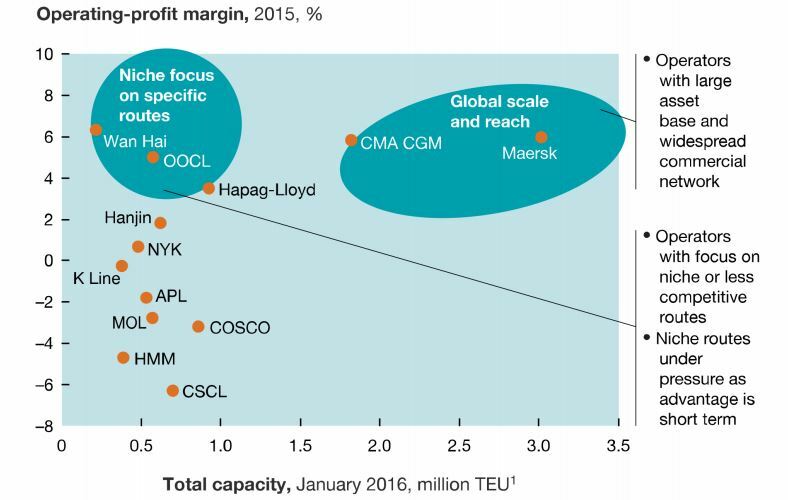 Aggregated ROIC definitely looks better for the groups where shipping and terminal are operationally integrated. The trend of integration and diversification (vertical integration) from pure maritime shipping activities into terminals is also expanding into freight forwarding and contract logistics. Maersk is now focusing its strategy on expanding DAMCO, its owned 3PL (third party logistics) provider; CMA- CGM acquired CEVA Logistics; while MSC is organically expanding its intermodal operator MEDLOG. All these efforts are aimed at tapping into the profitable business of freight forwarding and contract logistics, while at the same time expanding the network effect around ships and terminals. This development will also enable much more integrated information systems enabling synchronization of operations. Another recent example of vertical integration is that one of the leading terminal operators DP World has acquired the Danish logistics company Unifeeder, which operates a container feeder and shortsea network in Europe. This is likely to boost DP World’s presence in the global supply chain and broaden its product offering to its customers, shipping lines and cargo owners. It is also an indication of DP World’s global expansion push after its recent announcement of plans to build and operate a logistics hub in Mali. Vertical integration, such as is shown by DP World’s recent acquisition, is likely to be competitive in a market where there is a lot of friction and a limited exchange of data between the different segments in the vertical value chain. In other words, in a market where PortCDM has not been implemented. Will consolidation, alliances and a network-effect save the day? As highlighted so far, the efforts of the industry stakeholders have been aimed at increasing economies of scale through consolidation, creating network effects between shipping lines and terminals, as well as increasing vessel utilisation through alliances. Also, shipping companies have diversified their scope of business stepping into 3PL and marine services businesses. Nevertheless, the industry is still struggling to increase overall profit margins and improve return on investment, due to structural inefficiencies. These inefficiencies are mainly caused by a lack of coordination and data sharing between stakeholders. Even though operational data are usually shared within alliances and each terminal operator’s facilities, there is more limited sharing among players operating under different ownerships. Currently, there are very few examples of real-time data being shared between ports, terminals, shipping lines and vessels controlled by different entities. Hence, vessel planning, port calls, sea and land-side activities are not synchronised in an optimal way. Overcrowded berths, idle vessels, wasted bunkers (due to poor port call planning), unpredictability of yard and land-side operations, and supply chain disruption are among the practical consequences of this information connectivity gap. For instance, data sharing and cooperation between ports and shipping lines could enable exact prediction of berth availability and the subsequent coordination of just-in-time vessels’ arrival. This in turn would allow vessels’ speed calibration to avoid bunker waste or idle time at anchor. One way to achieve this would be through strong centralization both horizontally and vertically, but that may be very difficult to achieve at least in the short term. Another way is to facilitate collaboration, joint decision making, and synchronization of operations offered through the financially independent actors by data sharing using the PortCDM concept. We realize that there are a lot of organizational structures that might hinder the extended data sharing between parties in the development of PortCDM. For example, an actor associated with a particular alliance might not want to share data with an actor in another alliance. However, PortCDM is all about enabling all actors involved in, or related to, sea transport to share data and realize the mutual benefits. Driven by the business cases of PortCDM, the type of data being shared, as promoted by the S-211 standard, intentionally avoids the sharing of confidential information. The proposed data to be shared is just information related to enhancing the capabilities of coordination and synchronization in port call operations. PortCDM is concerned with enhanced (digital) collaboration between ships and ports, between ports, between port call actors, and between ports and hinterland operators. Today, there are many contemporary initiatives becoming more available where intelligent algorithms used in deep learning combine different data sources to both evaluate existing behaviour and predict future operations as drivers for higher efficiency in a distributed eco-system. This is relevant to many different application areas, such as supply chain integration, when actors from possibly competing structures are engaged. The maritime industry has been very lucky with the standardization and regulated distribution of AIS data. The time has now come to enable enhanced collaboration by expanding the repertoire of data sets made available between actors involved. The perspective of the client in sea transport, as part of the global supply chain, should be brought into focus, as this demands both efficient, safe, and environmentally sound sea voyages8 as well as the integration of maritime transport into the global supply chain. PortCDM sits as an intermediary concept tying all the actors together to enable increased transparency and profitability. PortCDM, which we have described in several prior Concept Notes, increases efficiency in port call operations for all stakeholders by adopting a universal methodology and associated protocols for data sharing in real-time. PortCDM relies on dynamic data sharing and real-time updating of planned and actual event changes among all the relevant stakeholders involved in port call operations. Higher levels of coordination, achieved through seamless data sharing, could potentially eliminate many of the inefficiencies that we have identified in this concept note and improve port and land- side operational productivity. Cooperation and data sharing through PortCDM, even among competitors, has the potential to be the mechanism upon which alliances and their network of terminals can thrive and prosper and turn around the current decline in profitability. For decades, the maritime industry has relied on strategic actions, (primarily horizontal mergers, acquisitions and alliances) to create different market places for particular segments of the maritime vertical value chain. The objective was to achieve Economy of Scale but also to limit the number of competitors in order that a reasonable profit might be obtained without a devastating ‘perfect’ competition, where prices are reduced to the lowest marginal price and profits become marginal or non-existent. The alternative for big players (major global shipping lines or as we see with the terminal operators such as DP World) is to gain control of the full (or almost full) vertical value chain. There is a parallel with Toyota’s and Honda’s operations which seek profitability through operational excellence based on using data sharing and data analytics to achieve higher levels of synchronization and achieve higher levels of resource utilization in their vertical value chain. PortCDM presents a third way. Through making all relevant data digital, securely shared and available, it is possible to achieve both collaboration and synchronization across major alliances and with the inclusion of smaller, nimble players. PortCDM will enable ports to achieve a higher level of efficiency, increased sustainability, and a better utilization of physical assets and capabilities. For more information: stay tuned.